The following Common Entrance papers (below) are available for download. Do you feel too busy to help your child from falling behind in Maths and Science? 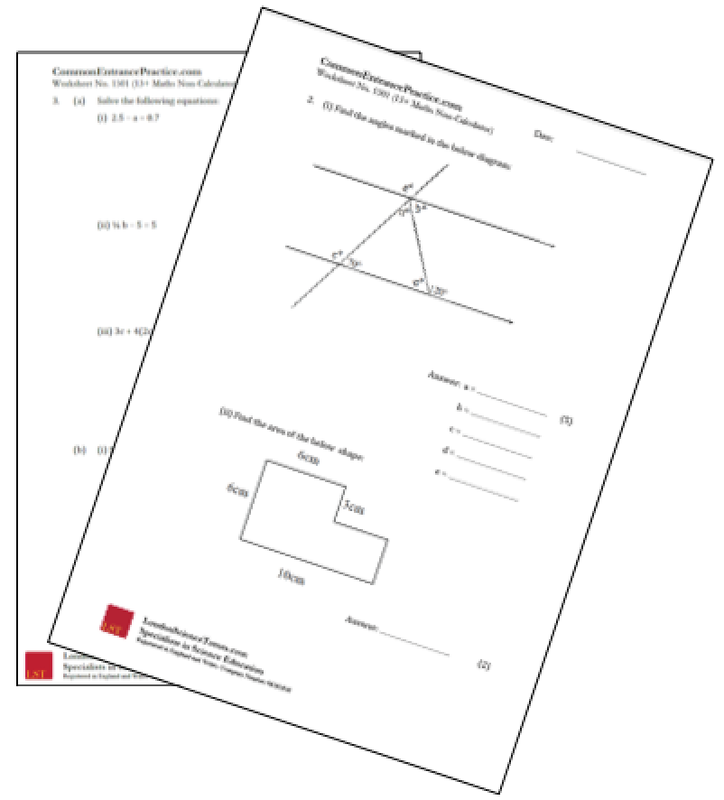 In response to your requests, we are now offering worked solutions to 11+ and 13+ past papers. The most effective way to use these past papers to help your child is discussed further in our Guide for Parents. The following papers are school specific. These can be very useful for Common Entrance practice. The general ISEB CE papers, used by a significant number of schools, are available from the ISEB website. If you have any requests for solutions or answers, please do contact us directly and we would be delighted to prepare these for you. 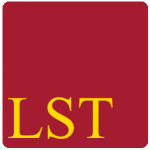 Further admissions details can be found at the City of London website here. Further admissions details can be found at the Dulwich College website here. Further admissions details can be found at the Emanuel School website here. Please note that the below are Kings Scholarship papers and are therefore more difficult than regular Common Entrance Papers. Further admissions details can be found at the Eton College website here. Further admissions details can be found at the Highgate School website here. Further admissions details can be found at the Mill Hill School website here. Group 1: Francis Holland (Clarence Gate), Francis Holland (Graham Terrace), Heathfield School, Notting Hill and Ealing High School, Queen’s College, The Royal School, St Albans High School, St Helen’s School, South Hampstead High School. Group 2: Channing School, City of London School for Girls, More House, North London Collegiate School, Northwood College, Queen’s Gate School, St James Senior Girls’ School, The Godolphin and Latymer School. Please note that the below are Scholarship papers and are therefore more difficult than regular Common Entrance Papers. Further admissions details can be found at the Radley College website here. Further admissions details can be found at the Reigate Grammar School website here. Further admissions details can be found at the Royal Hospital School website here. Do you feel too busy to help your child from falling behind their potential with Maths and Science? 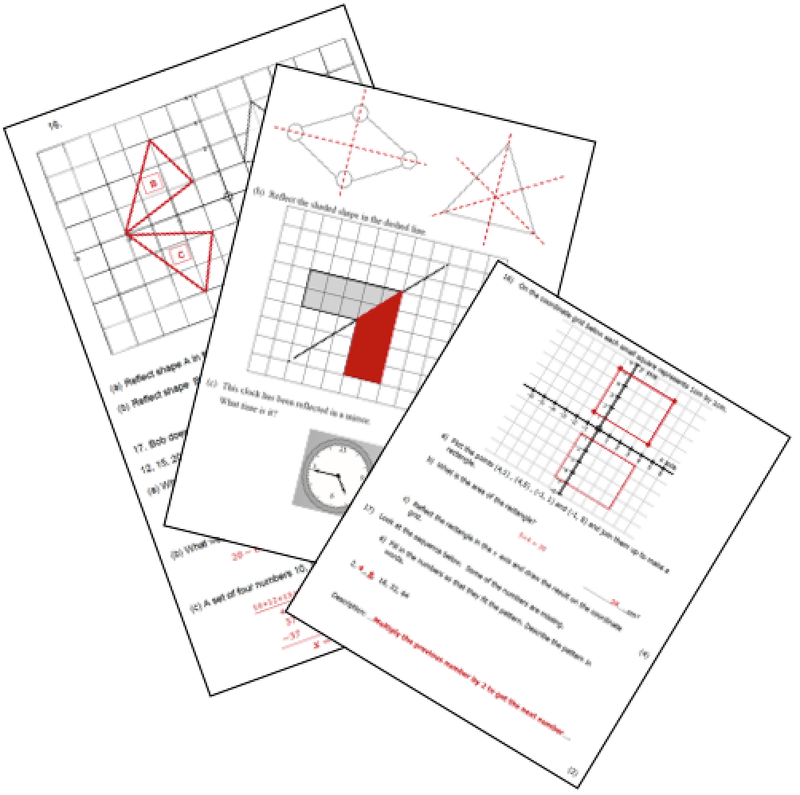 Click to access practice questions, weekly worksheets, revision videos and more Common Entrance Resources for students.